Germains North America New Organic Processing Facility. 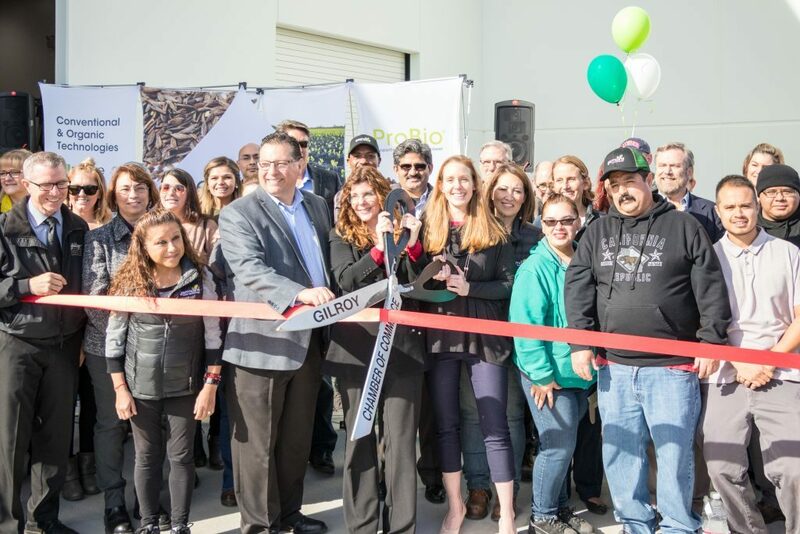 Gilroy, CA (January 25, 2019) - Germains Seed Technology held a Grand Opening to celebrate the completion of their new organic automated processing facility and Research and Development Lab in Gilroy, CA. Germains invested over $7 million in the construction of a new 37,500 sq ft certified organic facility. 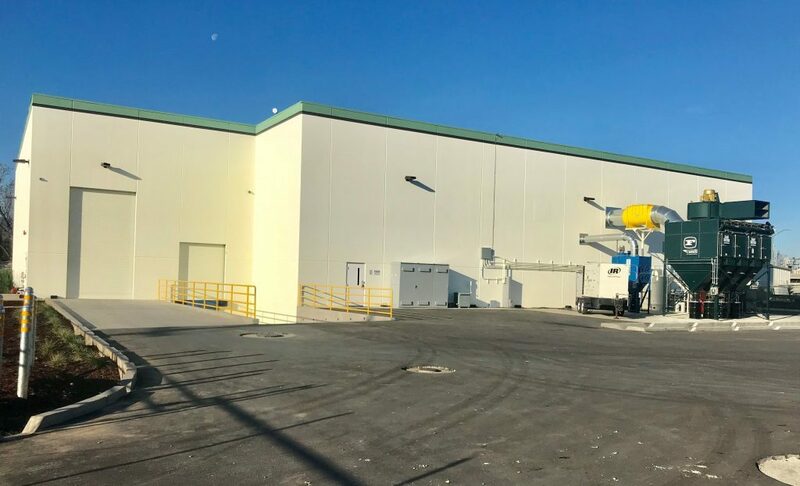 In addition to the new processing operations, Germains also purchased and renovated the former Farotte Construction building on Casey Street in Gilroy as its second Research lab. Today Germains has 49 full-time employees of which 8 are full-time scientists and research support staff. 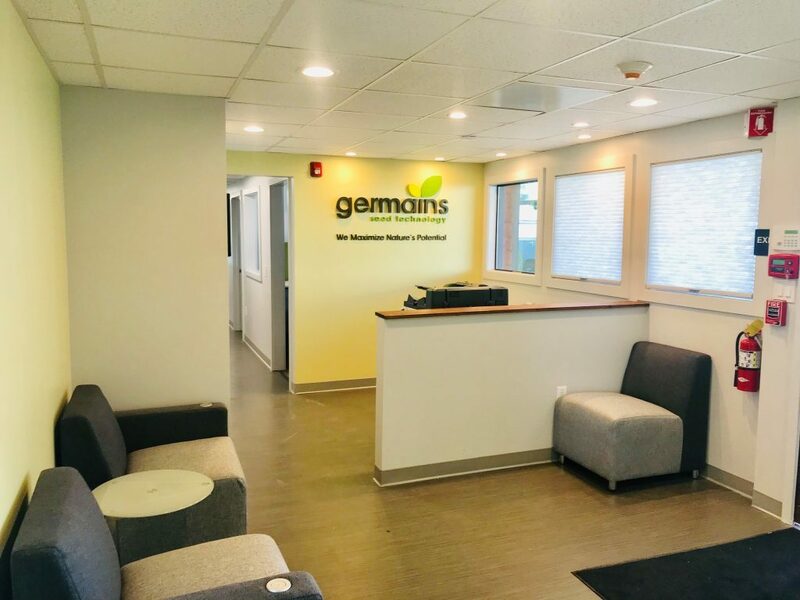 Germains now has two state of the art laboratories dedicated to research and development of new organic and conventional seed treatments for vegetables and sugarbeets that will benefit farmers throughout the United States, Canada, and Mexico. Established in Los Angeles, CA in 1871, Germains now has eight locations in both North America and Europe. Acquired by Associated British Foods plc in 1990, Germains Seed Technology is a world leader in seed pellet and treatment technologies for both organic and conventional growers. In 2017, Germains Seed Technology launched ProBio® SafeGuard™, an organic seed treatment for spinach targeting early plant protection against Pythium (a soil-borne fungus disease) even before the plant emerges. The product has proven very successful in field testing, but production was limited due to space and capacity restrictions. Now, with the new processing facility, ProBio® SafeGuard™ will be available to more organic growers throughout North America. Germains Seed Technology began developing solutions to maximize the yield of sugar beet nearly a century ago and introduced one of the first seed pellet technologies to the U.S. agriculture industry. Today, with sales offices and research facilities in both North America and Europe, Germains Seed Technology is committed to delivering industry-leading innovative seed technologies for sugar beet, vegetable, and field crops for seed producers, dealers and growers globally. Click here for more information. Germains Seed Technology North America New R&D Facility | Gilroy, CA. Gilroy Mayor Roland Velasco, Managing Director Victoria Lawrence, and Business Director NA Cathy Farr | Ribbon Cutting.